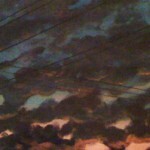 This was a series that was shown at James’s Gate in Jamaica Plain, MA in December of 2011. 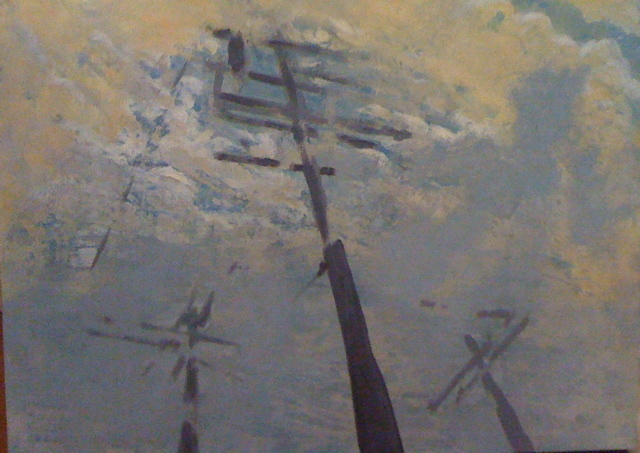 The show was inspired by Provincetown, MA – my second home. 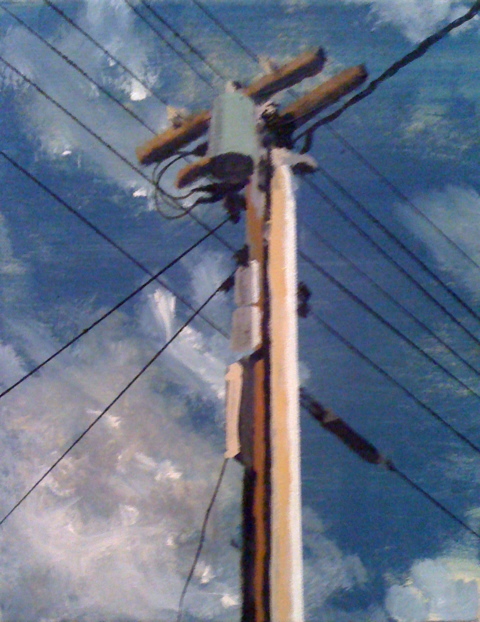 There are seemingly countless talented artists in Provincetown and it is rich with artistic training such as the Henche School and Plein Air. 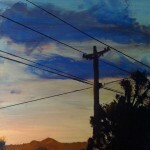 What started as a piece for our home blossomed into a passion that had been dormant since art school since I hadn’t picked up a paint brush in seventeen years. 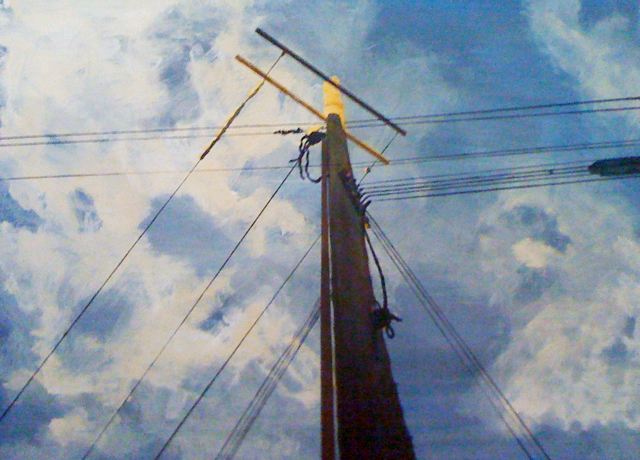 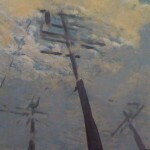 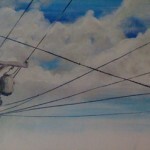 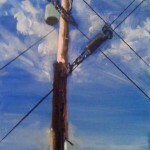 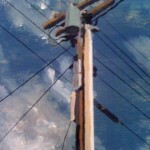 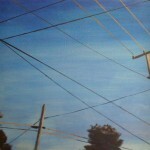 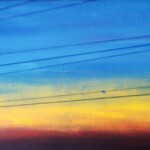 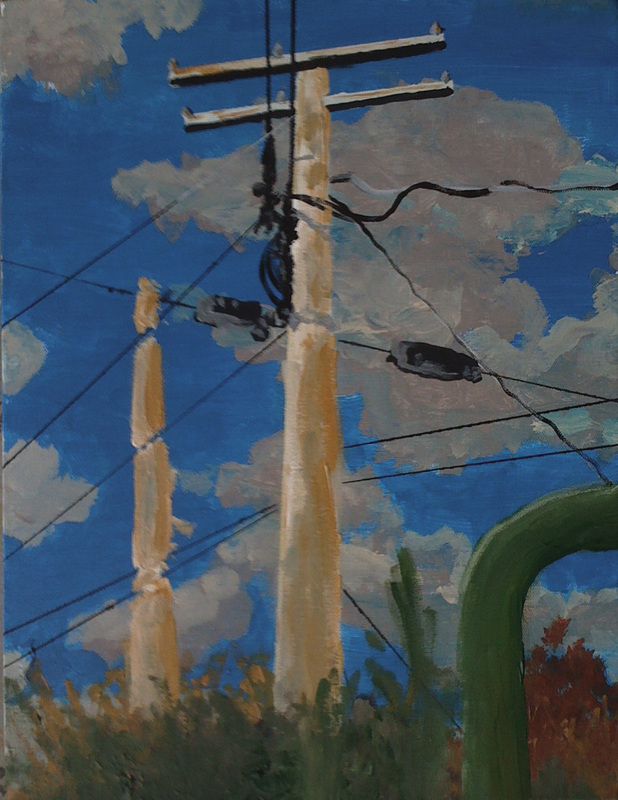 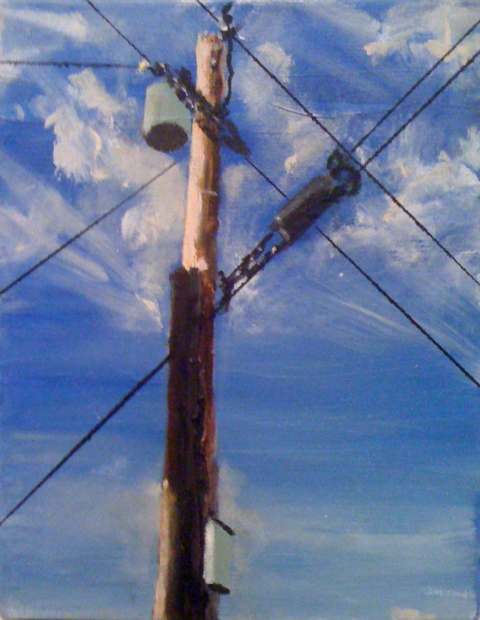 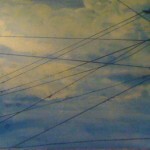 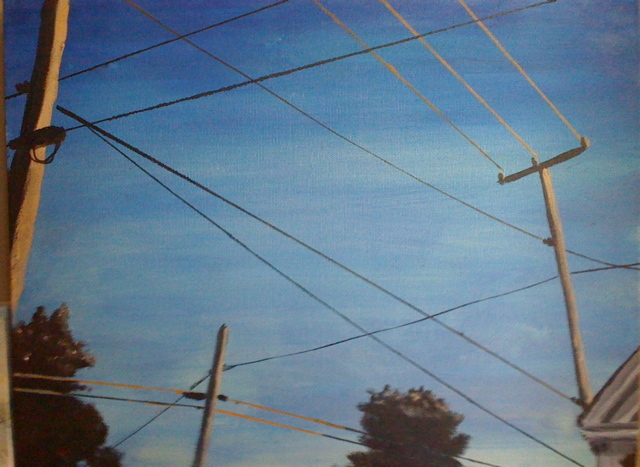 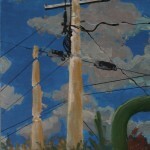 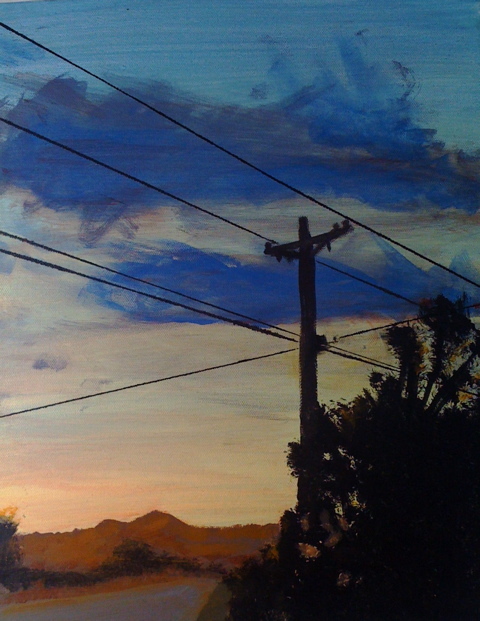 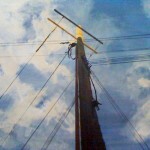 My subject of Provincetown’s utility poles was a reaction to the predominate motif of landscapes that many artists are inspired to paint there. 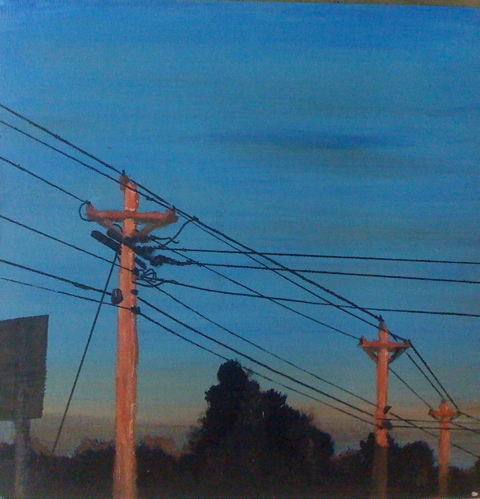 The “Cape light”, with its impossibly amazing sunsets, seemed almost violated by the ubiquitous lines that cut across the sky and the bucolic town itself. 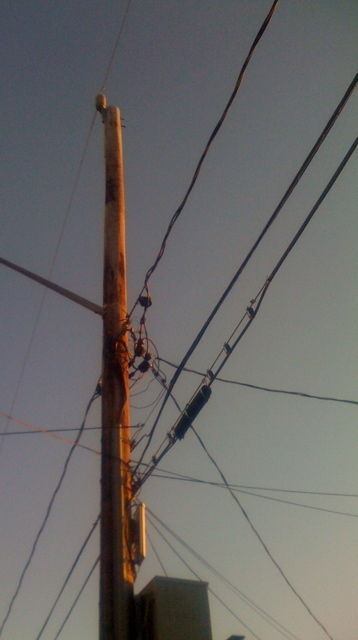 We are indeed dependent on these lines in many ways since our ever increasing need of electrical power and connectivity is as needed in the far outer Cape as it is in any major urban center. 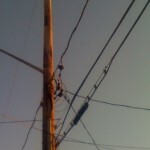 One day it will be replaced by a wireless system but for now it serves as part of the landscape reminding us that no matter how far we travel, we are all still connected.